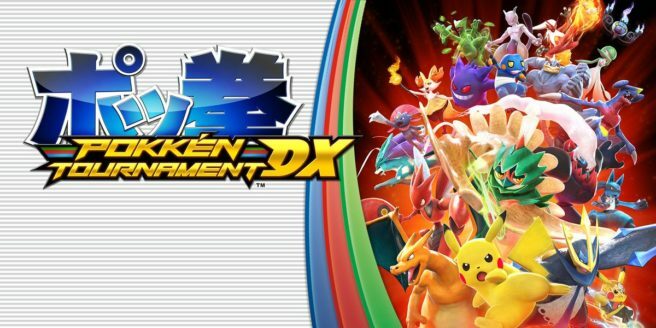 The previously-announced Pokken Tournament DX update has gone live. If you purchased the game, you can access version 1.3.2. Nintendo’s patch notes only mention that the patch “contains different adjustments for the Pokemon, including the addition of some brand-new actions” and “adjustments have been made to make for a more pleasant gaming experience.” The finer points of the fighters weren’t published officially, but we do have an unofficial translation below. – Air Dash (Synergy Burst): Can now perform an Air Dash during Synergy Burst. – Aura Sphere (Midair, Synergy Burst): Can now be cancelled during Synergy Burst by pressing the B button. – 6Y: Improved interactions with high attacks. – Synergy Burst: Decreased duration. – Electro Ball: Can now be cancelled by pressing the R button. – 8X: Can now be cancelled by pressing the R button plus a direction. – Burst Attack: Increased base damage. – Volt Tackle (Synergy Burst): Increased hitbox size during Synergy Burst. – nY: Can now cancel the first and second projectiles by using a Pokémon Move. – Grab Attack (Midair): Can now change trajectory by pressing the backwards direction. – ]X[: A new move can be performed by charging and releasing X. – Cross Chop (Duel Phase): Increased attack duration, decreased the distance Machamp is pushed back after using Cross Chop near the stage’s wall. – jX (Field Phase): Increased movement speed. – Burst Attack: Increased blockstun. – Calm Mind (Synergy Burst): Now gives two orbs during Synergy Burst instead of one. – Counter Attack (Midair, Duel Phase): Increased movement distance. – Energy Ball (Field Phase): Increased distance and tracking. – Energy Ball: Diffuse (Field Phase): Increased hitbox size. – Hydro Pump: Can now be cancelled by pressing the R button. – Blizzard: Can now be cancelled by pressing the R button. – Counter Attack ~ Follow-Up: Decreased the height at which this move launches upward. – 2Y: Increased blockstun, decreased recovery. – 5YYY: No longer puts Suicune in an airborne state. – Flare Blitz: Direct: Increased blockstun and knockback on block. – j6Y: Can now cancel some projectiles. – Inferno: Increased range. Now applies a speed debuff on hit. – Inferno: Increased combo scaling. – 6Y: A new move can now be performed. – Synergy Burst: Increased duration. – Icicle Crash ~ Nosedive: Increased chip damage. – 8X: Now works as a combo starter when hitting airborne opponents. – 6YX: Can now permeate by pressing the R button. – sY: Can now be cancelled by using a Pokémon Move. – Sludge Bomb: Decreased the duration of attack debuffs caused by the traps. – Burst Attack: Now cancels any active Support Pokémon when activated. – Jump (Midair): Fixed an issue where Gengar could not change the trajectory of Astonish after jumping backwards and permeating. – Air Dash: Can now change trajectory by pressing a direction. – Heat Wave (Enhanced): Decreased combo scaling. – jY: Increased hitstun, decreased knockback, can now be cancelled by using a Pokémon Move. – sY (Enhanced): Can now transition into Electro Jump by holding the button. – sY: Increased base damage. – jX: Reduced range when crossing over opponents. – 6Y: Can now transition into Hang by pressing the R button after the attack. – Detect: Increased chip damage when successful. – Counter Attack: Critical hits now downs grounded opponents. Increased hitstun against airborne opponents. – 5Y: Now downs opponents. – 6Y: The beginning of the move can now avoid low attacks. – Hang: Fixed an issue where certain moves could not be activated after jumping forward out of Hang. – Will-O-Wisp (Duel Phase): Increased block damage. – 4Y: Increased base damage. – Smog: Decreased knockback against blocking opponents. – j8Y: A new move can now be performed. – Flame Charge: Reduced range when crossing over opponents. – Flame Charge (Enhanced): Fixed an issue where Braixen would sometimes turn the wrong direction after performing this move. – Dig: Now works as a combo starter on critical hit or during Synergy Burst. Made it easier to combo airborne opponents. Now avoids projectiles during the end attack. – Nose Dive: Can now be cancelled by using a Pokémon Move. – 4X: Can now avoid certain low projectiles. – Sand Tomb: Charged: Fixed an issue where the animation may not play. – 6YX: A new just frame can be performed which, when performed successfully, grants increased damage and Synergy. – Psystrike: Grants Synergy when the just frames are performed successfully. – 2X: Grants Synergy when the just frames are performed successfully. – Psywave: Blast: Increased projectile priority. – Miracle Eye: Decreased HP consumption. – 6Y: Increased hit stun when the second hit hits an opponent above ground. – 5X: Increased window to input 5XX. – Psywave: Vortex: Decreased amount of HP consumed and Synergy gained. – 6Y (Synergy Burst): Fixed an issue where the pillar would stay on the field even after Shadow Mewtwo exits Synergy Burst. – 6Y: Now downs opponents. Successfully performing the just frame grants more Synergy. – 4Y: Now downs opponents. Successfully performing the just frames grants more Synergy. – 2Y: Reduced recovery and blockstun. – Shadow Claw ~ Slice Follow Up: Charge: Increased Phase Shift Points. – Air Teleport (Bad Dreams Rising): Increased recovery. – 8[Y]: A new move can now be performed. – j8X: The move’s random effect has been altered when it does not hit the opponent. – Burst Attack: Increased range and invincibility frames, improved tracking. – bY: Now avoids some high projectiles. Successfully performing the just frame grants Synergy. – Gunk Shot (Self-Destruct): Can now cause a Guard Break. – Bug Bite: Can now be activated by holding and releasing the A button. – Swords Dance: Follow-Up Attack: Can now transition into a forward dash by pressing the R button. – 2X: Increased blockstun, wallsplats send the opponent to a more advantageous position for Scizor. – Homing 1: Reduced recovery and hitstun. – Hover Turn: Fixed a problem where sometimes U-Turn would be used instead. – nY: Hold the button to transition into Slide. – 5YX: A new move can now be performed. Hold the button to transition into Slide. – Movement: General movement speed has been increased. – jX (Field): Increased active frames while descending. Change the trajectory of the move by pressing a direction. – 5X: Increased hitbox size for the second hit. – 2X: When inputting back + 2X, Empoleon won’t spin as far. – Slide ~ Jump (Duel Phase): Press forward to move even further while jumping. – 2X: Increased hitstun and combo scaling. – Slide ~ Jump: Fixed an issue where Empoleon’s controls would lock if Empoleon was hit at a certain time. – Slide ~ Y: Fixed an issue where Empoleon could use Duel Phase moves after the Phase Shift. – Backward Slide ~ Y: Fixed an issue where triggering a Phase Shift with this move would cause the camera to get weird. – Soaring Stance ~ Dash Step: Reduced landing recovery. – 6XX: Reduced recovery and hitstun. – Counter Attack: Reduced active armor frames to match other grounded Counter Attacks. – 5X: Increased combo scaling. – jY: Can now change trajectory by pressing a direction. – 6Y: Increased range and increased window to input 6YY. – High Stance: Grants more Synergy. – Pokémon Moves (Shield Forme): Reduced duration of buffs received from changing forms. – Iron Head: Now less likely to hit small and/or crouching opponents. – King’s Shield: Reduced invincibility duration after a successful counter. – 4Y: No longer puts Aegislash in an airborne state. – 4Y (Enhanced): Reduced duration of buffs. – Hurtbox: Made it easier to combo Aegislash. – King’s Shield: Fixed an issue where Aegislash was airborne after a successful counter. – Counter Attack: Fixed an issue where this would miss certain crouching opponents. – Homing Attack: Fixed an issue where opponents could escape the homing attack after being hit. – Aura Sphere (Upwards): Can now fire Aura Sphere upwards after Water Gun. – Movement (Synergy Burst): Movement speed has been increased during Synergy Burst. – jX: Can now press backwards to track opponents. – Dark Pulse: No longer interacts with other projectiles. – Follow Me: Replaced general invincibility on startup with projectile invincibility. – Bounce: Increased charge time. – Oblivion Wing: Fixed a problem where the opponent’s Synergy would not decrease if both players activated Synergy Burst at the same time. – Fire Fang: Decreased charge time. – Bubble: Increased duration of the double jump buff. – Dragon Ascent: Increased damage, decreased Synergy consumption. – Time Travel: Decreased charge time.